This is doubly infuriating. 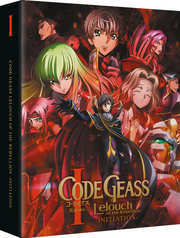 Code Geass is an iconic series from the mid-2000s which resonated with many an anime fan, combining trademark Sunrise giant robot action with plots shenanigans to rival Death Note, and all with elegant character designs from the CLAMP collective. 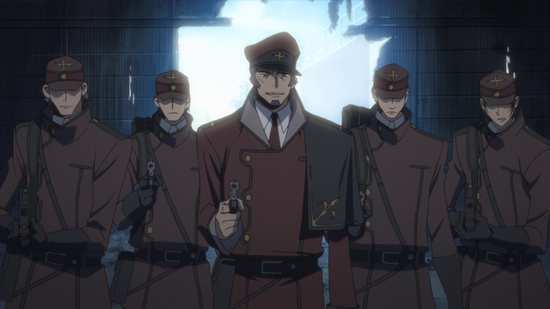 And in the UK we have long anticipated, and indeed have been promised the side-story Akito the Exiled OVA series. We still don’t get that. Instead we get the first of three compilation movies, a way to re-enthuse the fanbase before an unlikely (and in some quarters unasked for) third series. 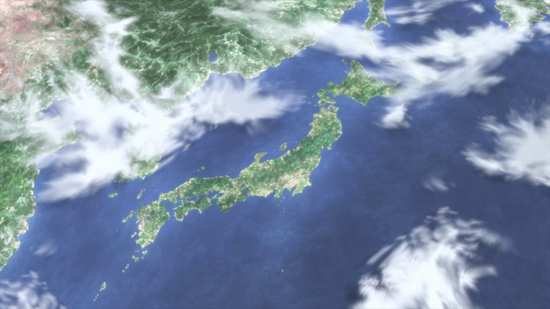 In an alternate world, 10th August 2010 saw the invasion of Japan by the Holy Empire of Britannia. 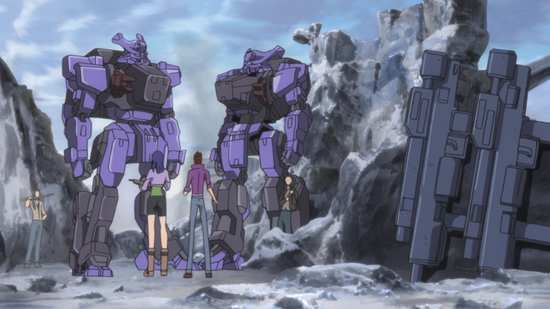 The giant walking powered suits known as Knightmare Frames quickly overwhelmed Japan’s conventional defences, and the nation fell in the space of a month. Re-designated as Area 11 of the Empire, its very identity erased, the Elevens became second class citizens in their own home, ruled over by the aristocratic Britannians. But as with every ruthless overseer, resistance soon developed. 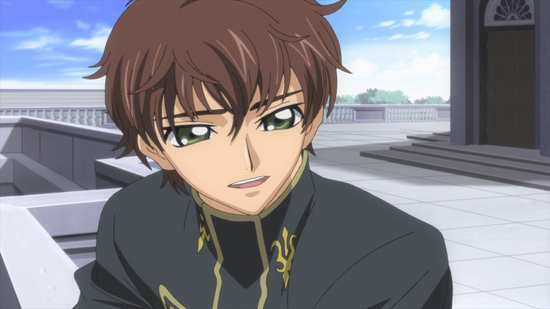 Lelouch Lamperouge is an exiled Britannian prince with his own grudge against the Empire, as well as a desire to fulfil his promise to his crippled sister Nunnally, to create a peaceful world for her when she regains her sight. It’s a terrorist attack that gives Lelouch the weapon with which to advance his timetable. Terrorists steal and make off with a container of poison gas, and the Britannians mobilise a force to hunt them down. 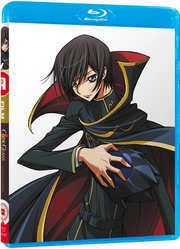 Lelouch, playing hooky from his prestigious school gets caught up in the mayhem. It isn’t gas that has been stolen though; it’s a secret for which the Britannians would indiscriminately kill to protect. It’s a green-haired girl named CC. 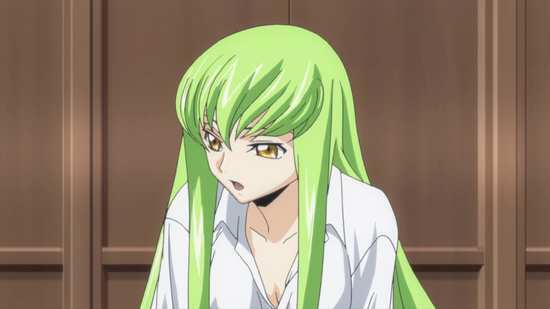 CC senses that Lelouch is the one that she has been waiting for, and bestows a gift upon him, the ability to force anyone to obey his will, a geass. With his keen strategic mind, and his vendetta against the Empire, Lelouch now has the tools to take the fight to the invaders. All he needs now is to find the resistance. 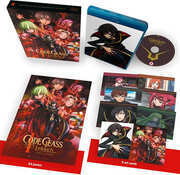 The UK is the first English speaking territory to get the first of the Code Geass compilation movies on home video thanks to All the Anime. The movie gets a 1.78:1 widescreen 1080p transfer on this disc, and it is pretty impressive, given that it’s taking a 12 year old TV series and re-editing it, alongside new footage for theatrical presentation. Whereas I suggested that the TV show on Blu-ray was an upscale, this feature film makes me think that the show, or at least those parts re-used here were animated in native HD. Everything is clear and sharp, and on this vanilla disc, there is no sign of compression, aliasing or digital banding. There are a couple of soft scenes, and you can tell the new footage with the full on HD clarity, extra detail, and theatrical quality animation, but the presentation is still a lot more consistent than I expected. There are no Pizza Hut logos to be seen anywhere in the film, and only one pizza. You are free to choose between DTS-HD MA 5.1 Surround and PCM 2.0 Japanese as and when you wish, but the English subtitles will be locked on regardless. It’s an action packed movie, but the action doesn’t impress mightily on the surround track. It does enough to sell the story though, even if it’s mostly front-focused aside from the odd effect. The familiar themes are present, and the music still drives the story well. You may have fond memories of the dub, but as this is a new edit, with new scenes, there was new Japanese dialogue recorded for this film. 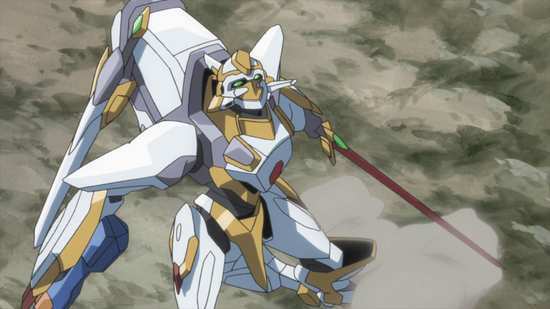 There hasn’t been a new English dub created for the Code Geass movies, which is a disappointment. As Funimation are releasing these films in the US, they may yet receive a dub in the future. The disc boots to an animated menu. There are no extras on board, another thing to ponder when it comes to Funimation’s intentions for the release. One thing I had to mention was just how counter-intuitive scene selection was for this film. I just couldn’t figure it out. I haven’t seen the physical extras that come with this Collector’s Edition release to comment. That was really quite good. It felt like a movie rather than a highlights package, and from the first third of the series that it adapted, Initiation managed to find a coherent and gripping storyline. It’s not as good as the TV series which it adapts, but it’s certainly not as bad as some compilation movies I have seen, particularly the two I mentioned earlier. But I have to say that it has been absolutely brutal with what it has left on the cutting room floor, with the new footage the glue to hold the remaining narrative together, as well as begin to twist things in a different direction from the series. From what I have read, the third season won’t be a sequel to the first two TV series, but will instead follow on from this movie trilogy, which suggests that by the final movie, things will have strayed significantly from the original narrative. The biggest difference is just how stripped down the character narrative is. In the series, it was all about the tormented nature of Lelouch’s rebellion, as he was presented as a man living three lives, all apparently antithetical. For one, he was the happy go lucky schoolboy Lelouch Lamperouge, whiling his days away in the student council, hanging out with friends like Shirley and Rivalz. 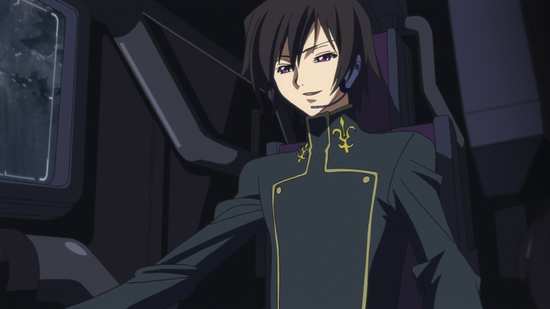 Then there was the exiled prince Lelouch vi Britannia, 17th in line to the throne, the history behind his exile, the invasion of Japan and what it did to him and his friend Suzaku, and his sister Nunally. 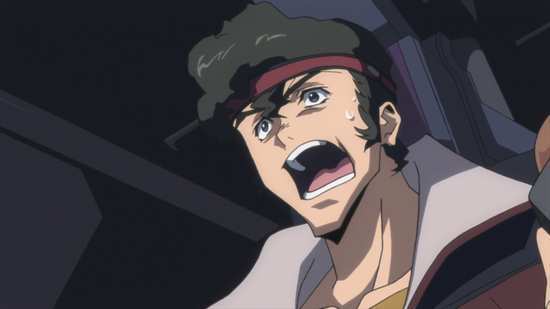 And once he got the Geass from CC, there was the terrorist leader Zero, and his campaign of vengeance against the Britannian Empire metamorphosed into a fight for freedom for the people of Japan, the Elevens. 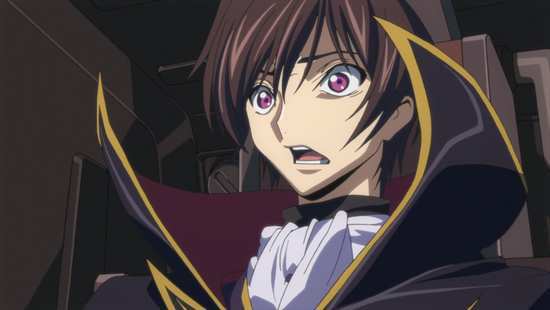 The movie dispenses with all the exiled prince narrative by explicitly showing what happened in the opening scene of the film, the only question left to answer is that which motivates Lelouch’s revenge, just who killed his mother, and crippled his sister. Motivation established, the next thing to hit the cutting room floor is all the school antics, the characters of the student council are barely in it, and Shirley has been reduced to comic relief, popping up once every so often trying to find ‘Lulu’ and failing. There’s a lot more certainty for this Lelouch when it comes to his vendetta, mostly because that is what this film focuses on. 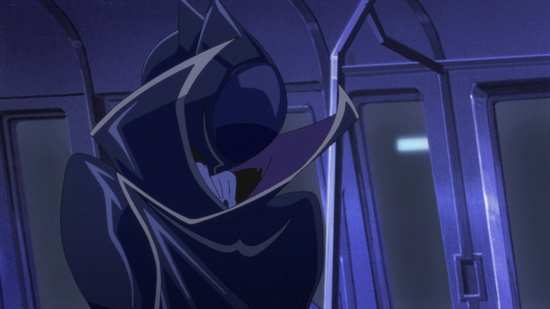 We begin with how Lelouch gets his Geass, which plays out pretty much the same, and it’s underlined by Clovis ordering the Shinjuku massacre to cover up his loss of ‘The Project’. All of which goes to prove just how depraved the Britannian nobility is, and just how justified Lelouch is in his actions. There’s no second guessing when he finds and deals with Clovis, and there’s no hesitation as he takes control of the JLF and launches his war. 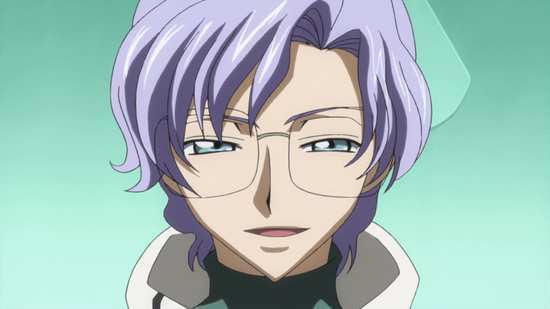 About the only thing that gives him second thoughts is when he’s reunited with Suzaku, and learns that he’s a loyal vassal of Britannia, fighting to change the system from within, but still ostensibly an enemy. 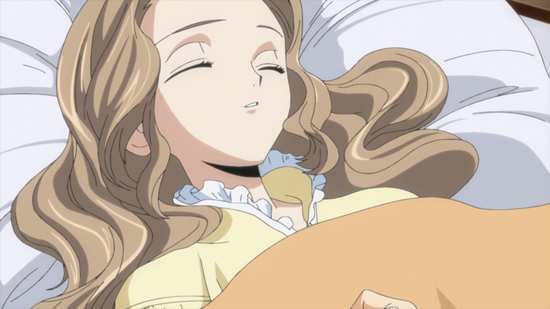 But this Lelouch is dead set on creating the world that his sister Nunnally can be happy in. It’s a very watchable, action packed movie, that progresses at a lightning pace, never offering you the chance to take stock of what happens until after the end credits (stick around for a preview of the second film), and it’s really only then that you realise just how pared back the character development is, just how much of the series has been left on the cutting room floor. The minor characters have been practically eliminated from the script, while characters that had significant roles in the TV series just get glorified cameos here. The necessity of getting the plot from A to B in a timely fashion means that even the significant characters in the film lose out on character development, making them feel somewhat single note as a result. All of that doesn’t stop Lelouch of the Rebellion from being the best compilation movie I have seen in a long time, almost as good as Ghost in the Shell’s Individual Eleven. That’s because it has managed to find the essential narrative that it wants to convey, while maintaining the emotional beats necessary to hold the viewer’s interest. Hopefully the next two films will maintain the quality so as to lead into the forthcoming third series, which suddenly doesn’t seem as questionable a proposition as when I started writing this review.